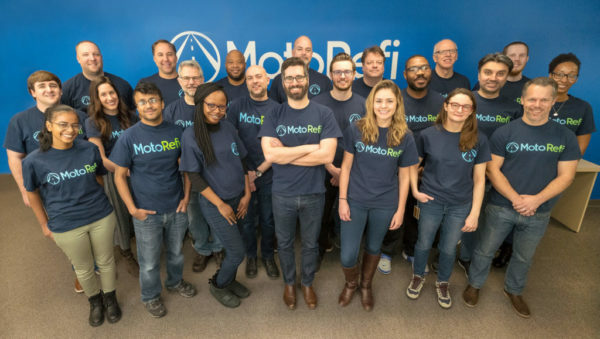 (Updated 1:45 p.m.) Most people don’t spend a lot of time thinking about refinancing their car, which is why Ballston-based startup MotoRefi aims to make it as simple and painless as possible. The company claims to save customers an average of $100 per month on car refinancing. MotoRefi works with credit agencies to take improvements in people’s credit score and other factors into account when it comes to car payments. Bennett said reducing the amount people spend every month on car payments helps MotoRefi customers build better financial protection and save up to pay off student loans or other debts. According to Bennett, traditional refinancing can be confusing and lacks transparency. The process starts obligation free, with offers from lenders visible with no social security number required and no impact on a credit score. If the customer chooses to go through with the refinancing, MotoRefi charges a $399 fee to cover the costs of processing documents and retitling vehicles, which is included in the refinanced loan amount. Moving forward, the company is looking into platform expansions on the technology and analytics sides, as well as expanding into new markets and growing the local team. Bennett made sure to note that the company is currently hiring. The company started in 2017 out of an office in Alexandria but moved to Ballston in 2018.